1. 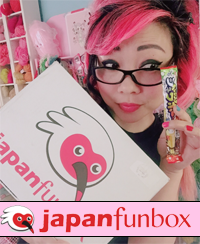 A cute pink donut plush pillow from The Cute Quipster, a studio based in London, UK that creates colourful limited edition handmade plushies, badges and stickers inspired by Kawaii culture (warning: though they look delicious the donuts are not edible). 2. 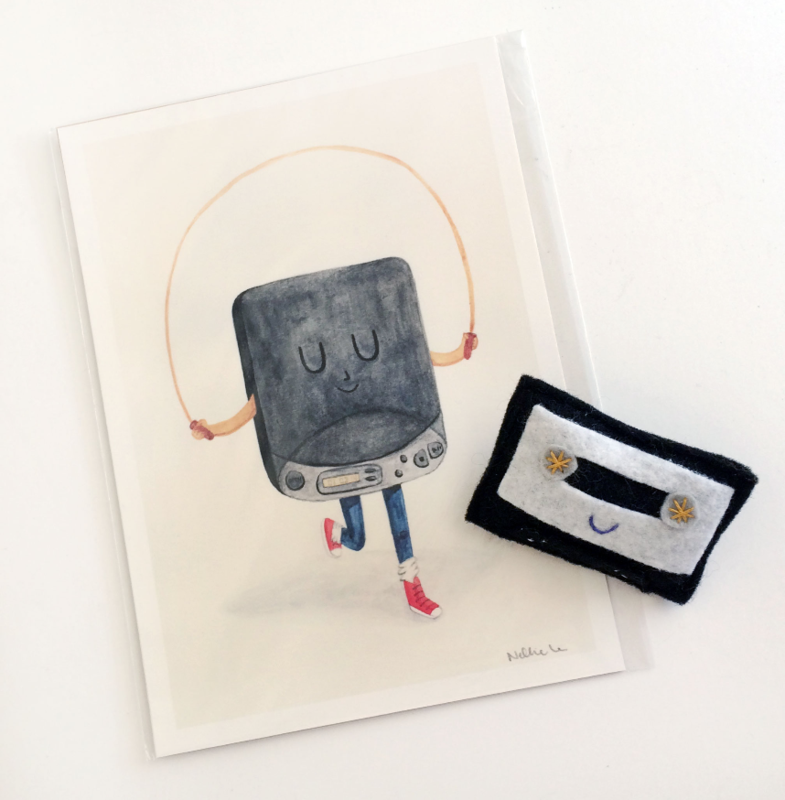 A 5×7 Skipping Discman Print and a cute Felt Mixtape Brooch from Nellie Le. 3. 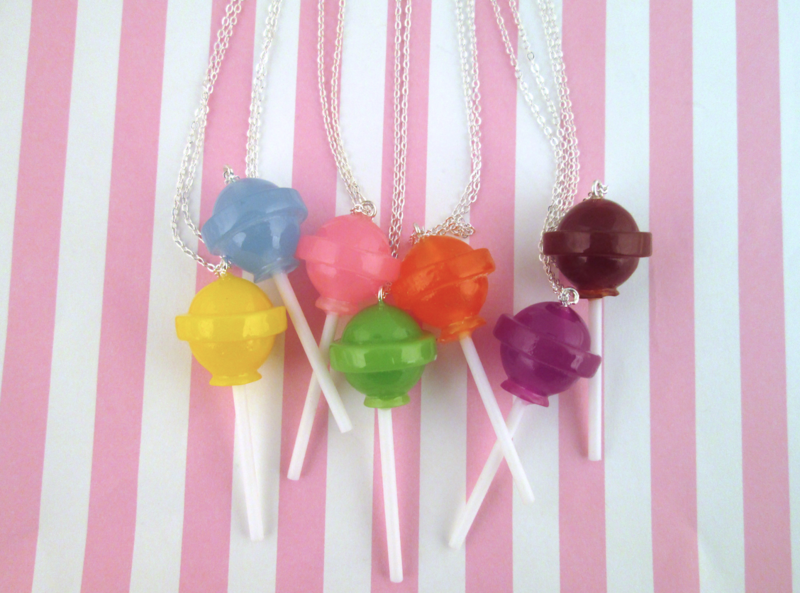 A sweet lollipop necklace from Happy Kawaii Supplies in the color of your choice! 4. 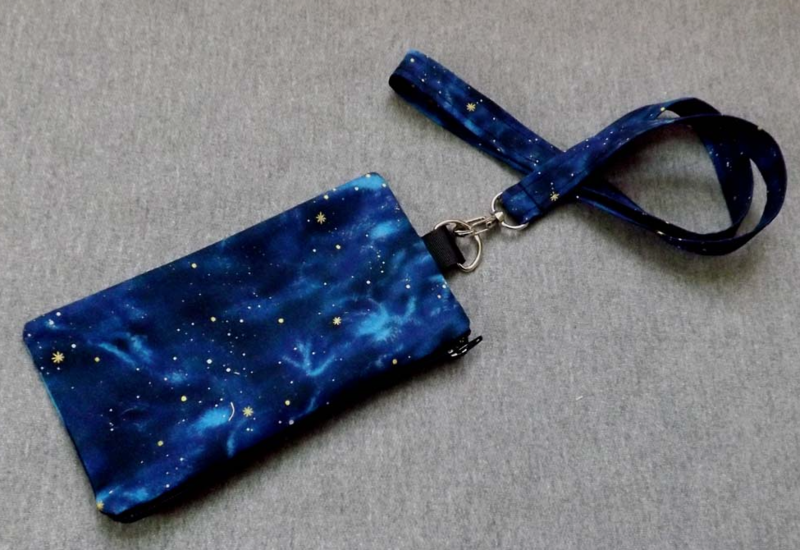 A Cosmos lanyard pouch from A Little Geeky. It’s = 7 3/4″ by 4″ and zippered with 2 pockets and a 30″ lanyard neck strap. Great for hands free phones, glasses, cards and cash. 5. 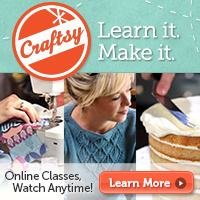 A $25 gift certificate to shop at Knit Kritters. 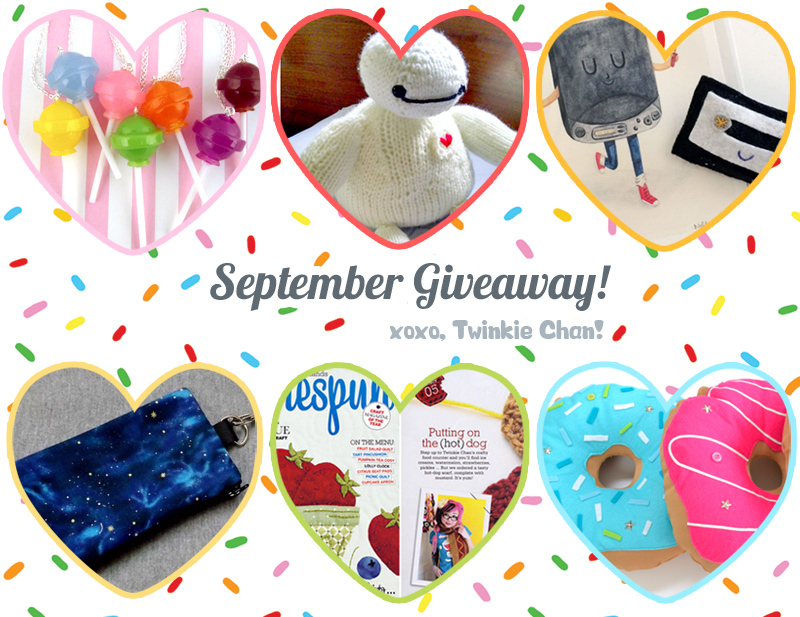 67 Responses to September Blog Sponsor Giveaway! I love the doughnut cushion! they’re so cute! I love the doughnut pillow! 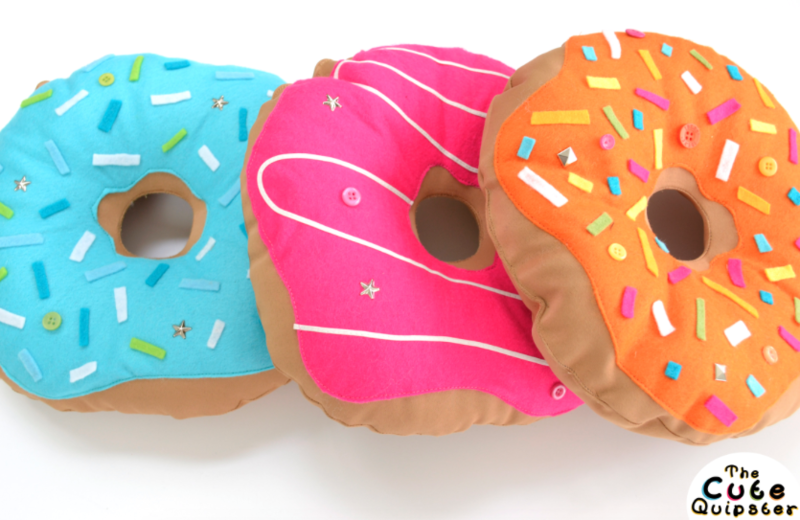 The donut pillows are adorable! So fabulous love all of it!! I love that donut plush!!! I’m a sucker for donuts!! 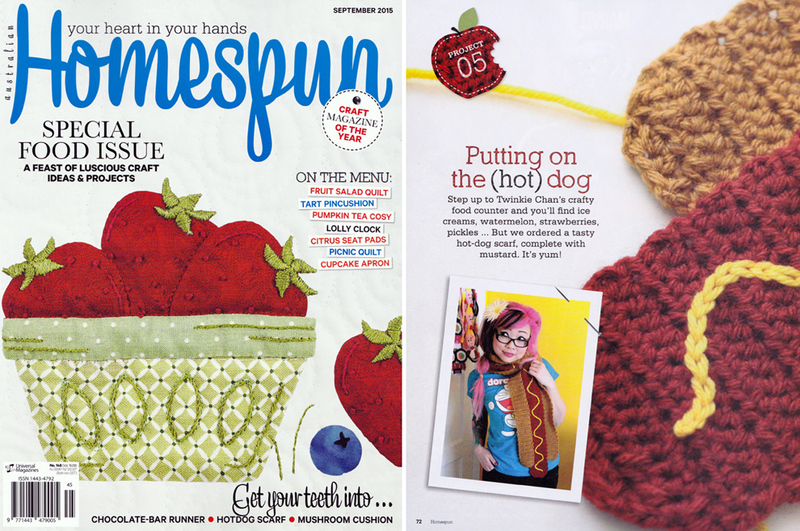 I LOVE the cat donut pillow from the Quipster! Favorited that immediately!